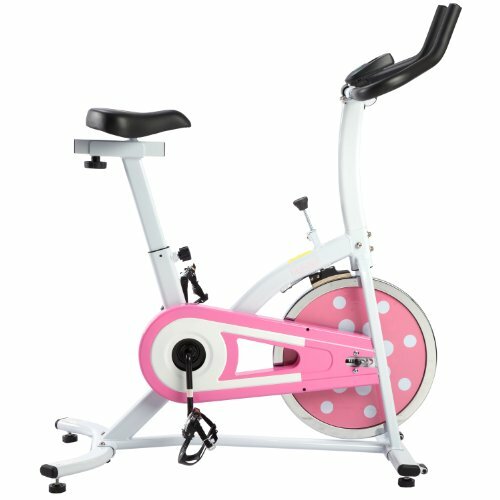 Stay in shape with this awesome indoor cycling exercise bike. Featuring an upright, compact design, the bike offers smooth pedaling action that’s similar to real biking. The LCD monitor sports easy-to-read numbers and keeps track of your time, speed, distance and calories. Multiple seat positions enable you to find just the right fit. Other highlights include a sturdy steel frame, a 22lbs flywheel, leveling feet, and a molded and padded seat. Maximum user weight is 240LBS.